Stained teeth are extremely common, but they can be embarrassing and damaging to your self-esteem. While you can avoid further stains to your teeth by limiting your consumption of coffee, teas, and colas and by not smoking, you will need to take action in order to reduce or eliminate any stains already present on your teeth. Our West Hollywood cosmetic dentist, Poneh Ghasri DDS, can help you explore your options in teeth whitening treatments to restore your teeth to their original color. 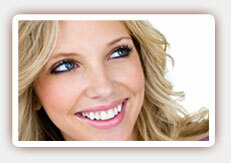 If your teeth are stained due to lifestyle habits or age, your best option may be in-office whitening treatments. In-office teeth whitening procedures use a combination of powerful teeth whiteners and a special light that activates the whiteners. This form of teeth whitening can whiten teeth as much as eight shades and is highly effective for typically stained teeth, as well as teeth that have stains deep within the dentin. Teeth that have intrinsic stains, or stains due to medications or injury, may not whiten with traditional teeth whitening methods. Dental veneers, which are ultra-thin porcelain shells, may offer a better solution. They fit directly over the tooth itself and cover it, much like a false fingernail covers a natural fingernail, and they can offer a long-term solution to stained teeth. Once your teeth have been whitened, you can keep them brighter and healthier by maintaining good dental hygiene habits, brushing and flossing every day as directed, and visiting our dentist on your recommended exam schedule. 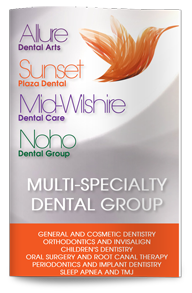 Contact Dr. Poneh Ghasri, West Hollywood teeth whitening expert, to learn more or to schedule your consultation.